We have been hearing rumors about the LG X3 for quite some time, yesterday we heard that the device would be called the LG Optimus 4X HD, and today LG have officially announced their first quad core smartphone. The LG Optimus 4X HD is powered by a quad core 1.5GHz NVIDIA Tegra 3 processor, and it features a 4.7 inch IPS multi-touch HD touchscreen display with a resolution of 1280 x 720 pixels. The device comes with the latest version of Google’s mobile OS, Android 4.0 Ice Cream Sandwich and it features 1GB of RAM and 16GB of build in storage, there is also a 2,150mAh battery and it comes with DLNA and MHL. The LG Optimus 4X HD comes with dual cameras, up front there is a 1.3 megapixel camera for video chat, on the back there is an 8 megapixel camera for photos and video, and it is capable of recording full high definition video in 1080p. 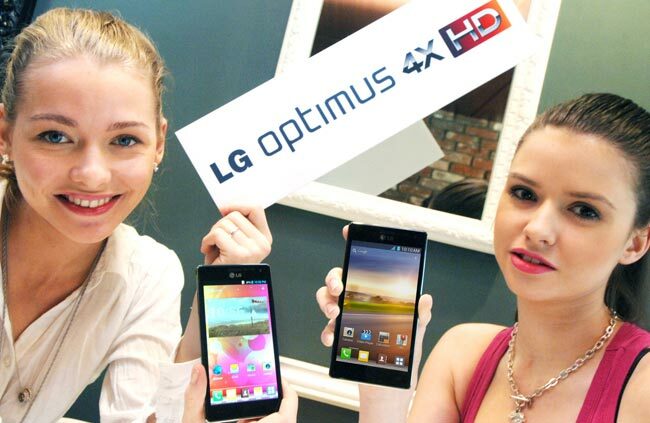 LG has said that the LG Optimus 4X HD will go on sale in Europe in the second quarter of 2012, we should have more information about LG’s first quad core Android smartphone next week as it will be shown off at MWC 2012.